Cape Town - Three capped World Rugby U20 Championship players, Rikus Pretorius, David Coetzer and Phendulani Buthelezi, are among 34 players named in a Junior Springbok training squad that will assemble in Stellenbosch next week. The training camp, which forms part of the SA Rugby Academy programme, will run from Monday, 1 April to Thursday, 18 April, and will feature three friendlies as part of the Under 20 International Series. 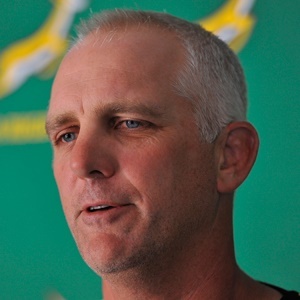 The Junior Boks will face the Argentina and Georgian U20s and a senior Namibian XV. While Buthelezi and Fezokuhle Mbatha have been included in the squad, they will continue with their Super Rugby commitments for the Sharks. The squad will assemble on Sunday to begin their preparations for their opening match in the U20 International Series against Georgia on Tuesday, April 9. They will face the Argentina U20’s and Namibian XV on Saturday, April 13, and Wednesday, April 17, respectively.